FREE Sample of Huggies Snug and Dry Diapers Is Back! Head to Walmart right now to get a FREE Sample of Huggies Snug and Dry Diapers! 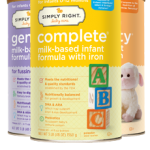 CLICK HERE –> FREE Sample of Huggies Snug and Dry Diapers to get yours! Only available for a limited time and while supplies last! 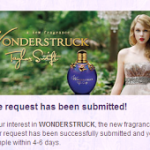 FREE Sample of Taylor Swift’s Wonderstruck Perfume!